Lamb has been a Saturday-night staple on our menu for quite some time. Boneless and herb roasted, you might say it's a fan favorite. But we've given it a brief hiatus in favor of bringing you a lamb entree of a different variety. If you're a fan of the Saturday night cut, don't despair. We're certain this latest menu addition will more than make up for it. 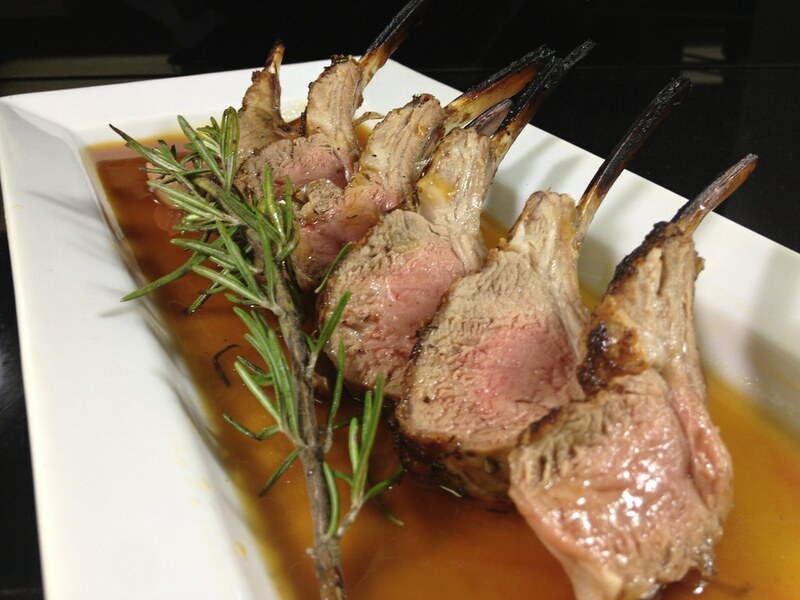 We are currently serving a grilled 10 oz lamb rack with a veal demi glace. And yes - for a limited time - it will be served all day, every day. Unlike the boneless lamb leg, this is a lamb rack... meaning the grilled bones impart a fattier flavor to the lamb compared to that of a slow roast. We marinate our racks in a mixture of fresh olive oil and a blend of herbs and spices that help break down the gaminess of typical lamb. The lamb is sliced (we're not serving it like a Fred Flintstone portion) and it comes with your choice of sides. For you lamb lovers out there, it's a great opportunity to get lamb any day of the week. As they say, "Mary HAD a little lamb." So be sure to come get your fix before it's gone!